"The Cat's Pajamas" is a feline only hotel, serving the Western New York area. We offer a variety of options for your feline's vacation. Check out our spacious deluxe enclosures and luxury rooms. Check out our affordable rates including extended stay and multiple feline family discounts. So you just booked that lavish 10 day vacation in Hawaii so you can lay back, relax and unwind. Or your company just told you they're sending you to a 4 day, all expenses paid, conference in Las Vegas. Or maybe you just bought your *dream* house but can't move in until 3 weeks after you sell the house you're living in now. Your flights and hotel are booked, your bags (or storage locker) are over packed, and you're getting so excited! But what about that furry feline wrapping around your feet? That's where we come in! 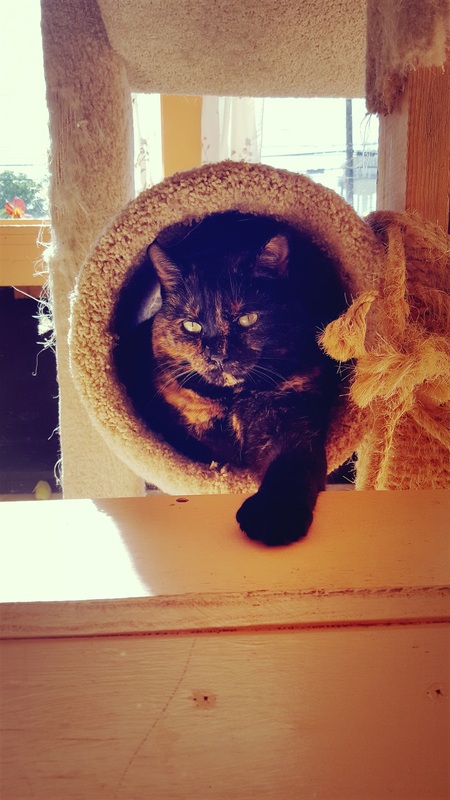 We are WNY's premier feline only boarding facility offering affordable and competitive pricing, spacious enclosures and rooms, and owners who live less than a mile up the road. Discounts are offered for families of cats, extended stays, and long term boarding. Kitty daycare available (for parties, home walk-throughs, etc.) and cats with special dietary and medical needs more than welcome! Read more about us and our story!